Telus has joined the party and made the Storm official up north. It will not be the exclusive carrier of RIM's touchscreen wonder, but it will be the first to offer it in RIM's native land. You sick of Storm coverage yet? TELUS is thrilled to announce that it will be the first in Canada to offer consumers the revolutionary BlackBerry Storm 9530 smartphone from Research In Motion. The addition of this world edition smart phone to TELUS’ line-up cements TELUS’ position as Canada’s smartphone leader with the most smartphones on Canada’s largest 3G network. The revolution begins with the BlackBerry Storm’s advanced high resolution (480 x 320) 3.25” touchscreen. This is the first touchscreen on a BlackBerry device and features an innovative clickable surface for precise and responsive text input. The touchscreen is also intelligent enough to present users with a virtual QWERTY or SureType® keyboard depending on the orientation of the device. The familiar communications experience that clients have grown to love about their BlackBerry smartphones has also been enhanced as e-mails and Internet browsing are rendered in rich HTML format, with embedded images and one-click hyperlinks. Clients will also appreciate the feature-packed multimedia capabilities of the device including a high resolution 3.2 MP camera to take pictures and videos and 1GB of memory with an expandable micro SD ™ memory slot to store those images. Best of all, those images can be uploaded quickly with high speed access to YouTube streaming videos for mobile devices and one touch access to popular social networking sites like Facebook. And battery life is not an issue as the BlackBerry Storm boasts an extended life battery, which is replaceable. 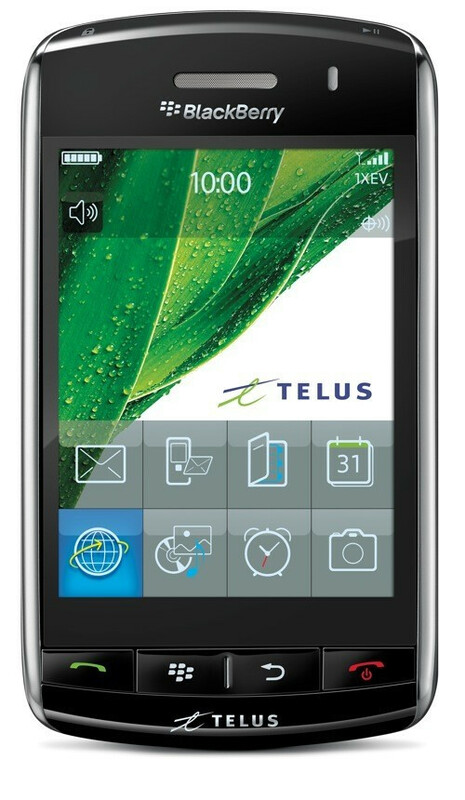 TELUS will be making the BlackBerry Storm available just in time for the holiday shopping season. Join the revolution and chase the BlackBerry Storm! With the amount of customers that have switched to get it, and the way it's made other handset manufacturers mimic some qualities, I would say it's deffinetly changed the industry, ALOT.